It is impossible to write a review of Kurumba Maldives without touching on its historical importance. 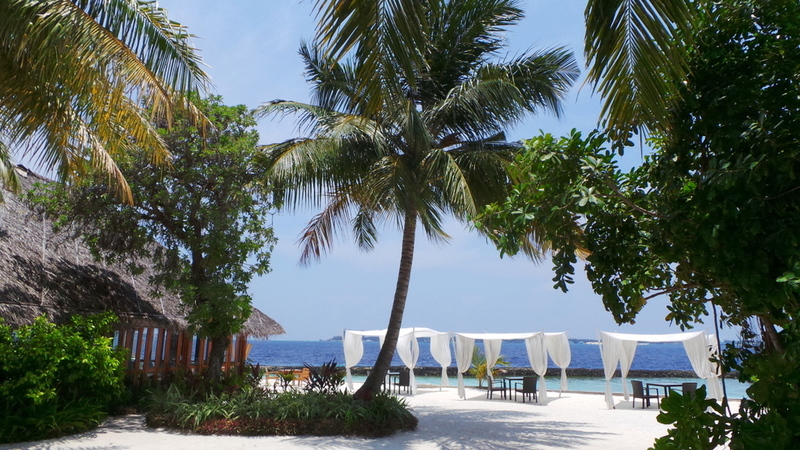 Kurumba is the first ever resort in the Maldives. However, not a lot of people know that along with the title of being ‘first’, Kurumba was also responsible for salvaging the economy of the Maldives. 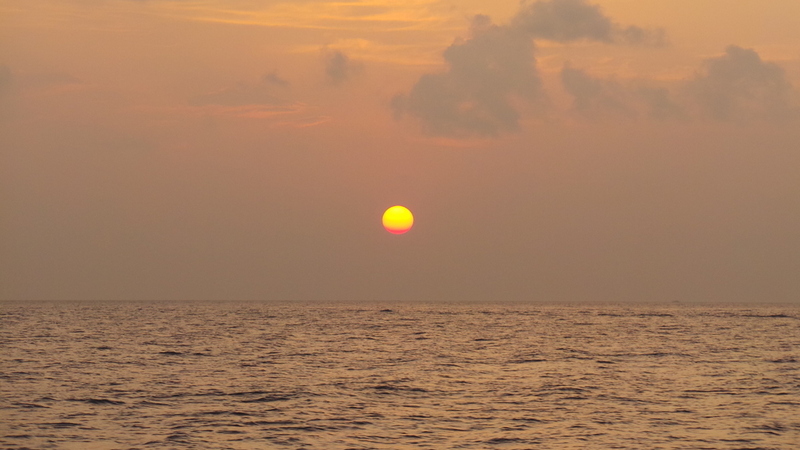 Prior to tourism, fishing was the main industry and foreign exchange of the Maldives through export to Ceylon (Sri Lanka). Then in 1972, the Prime Minister of Ceylon unexpectedly ordered the Maldivian government to cut down the export of fish to Ceylon by 15 percent a year. October 3, 1972. 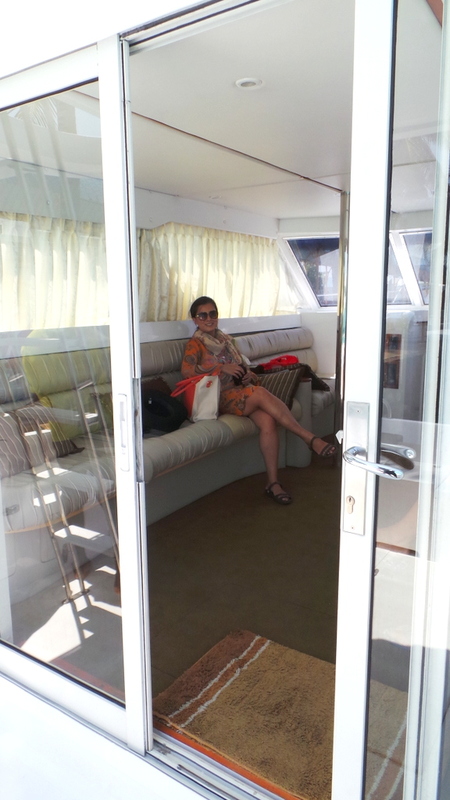 Kurumba Village received her first paying guest. And this changed the course of Maldivian history. So I’m honoured to have stayed at the resort that changed it all. 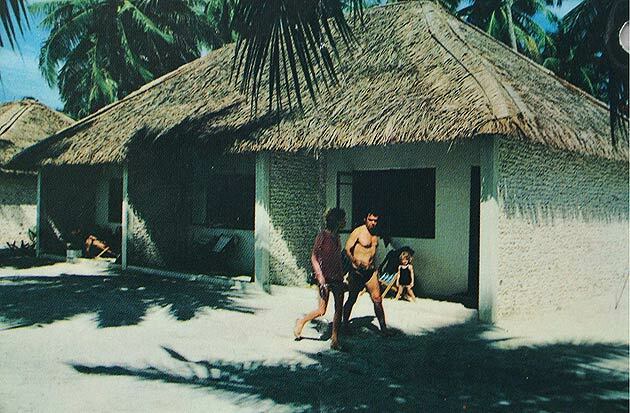 The resort that turned tourism to become the number 1 economy that supported the Maldives. And continues to do so until this very day. Nothing short of splendid and convenient. 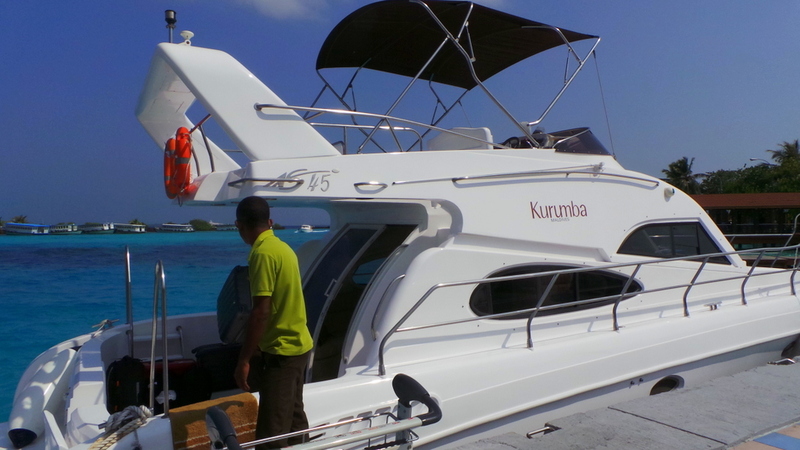 Kurumba is less than 10 minutes by speed boat from Male Airport. This feels like cheating, really. Paradise in less than 10 minutes, when others need to fly , hop, and skip by seaplane, domestic flights and boat to get to their resorts. 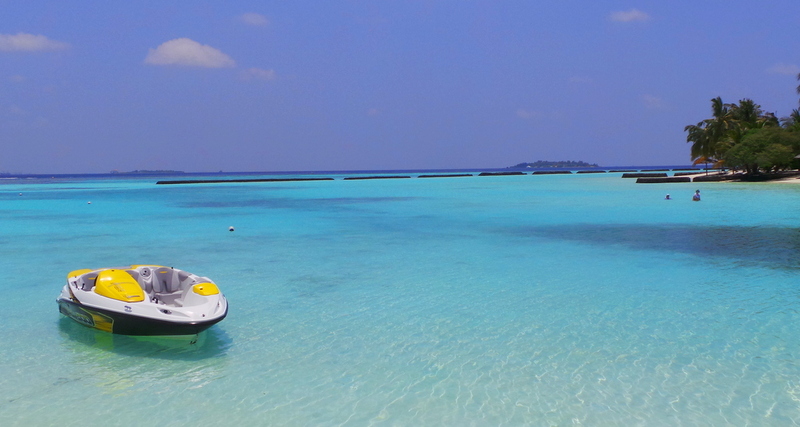 Kurumba’s speedboat was also the most comfortable speedboat we’ve taken in the Maldives. It has an open upper deck, which Zombie happily claimed. While I claimed the “main level” which is all carpeted, plush, and has air conditioning. 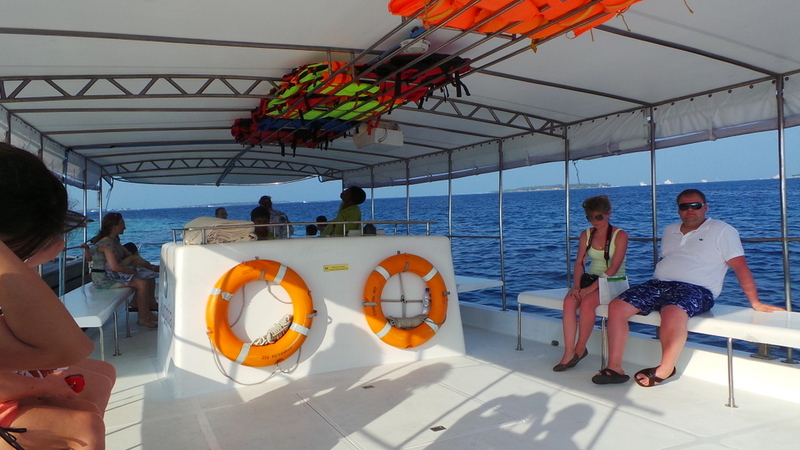 And really, all this for a less than 10 minute boat ride may seem extravagant. 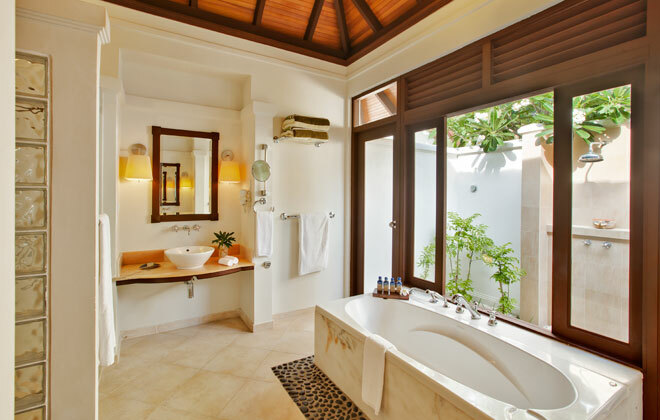 But this is Kurumba hospitality for you — timeless comfort. 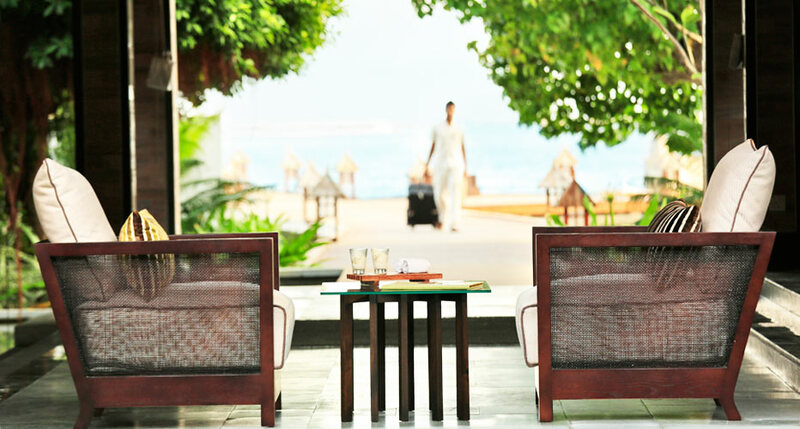 For a 42-year old resort, Kurumba is extremely well kept, and looks fresher and ‘younger’ than other resorts who have been around the last 5 years. 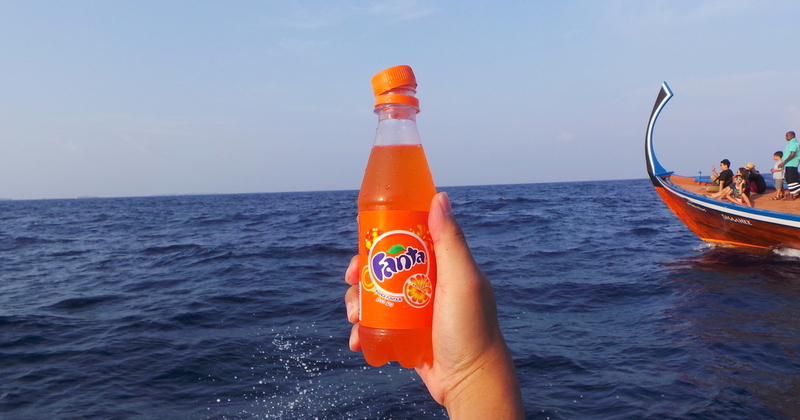 Welcome drinks are ‘so last season’ in Kurumba island. They’ve brought in the best welcome treat I’ve ever had the pleasure of receiving. 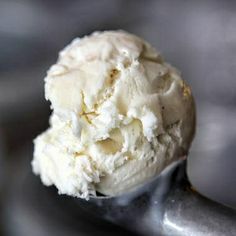 A heaping scoop of coconut ice cream. It was sorbet-like (but not sorbet) so it was light with real coconut bits. Kurumba , after all, means coconut in Dhivehi (Maldivian language). And it was extremely wonderful. I’m a big fan of coconut products and this ice cream is probably the best coconut ice cream I’ve tried. And though I know the staff would be more than happy to oblige, I resisted the urge to ask for a tub to take to the room second serving. 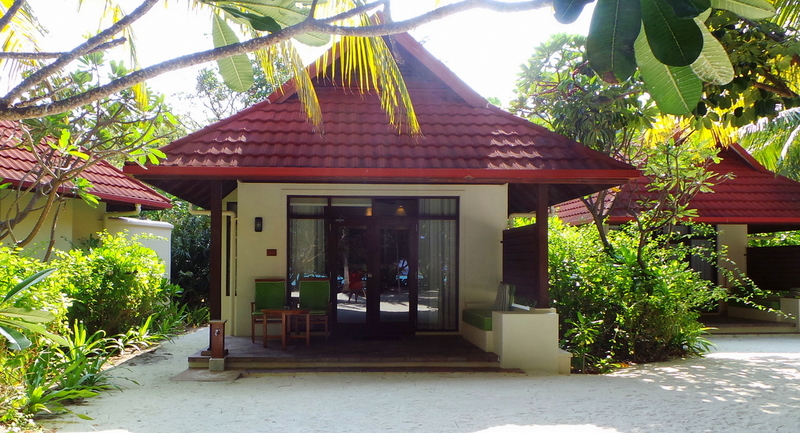 Just a few steps away from the water, this Deluxe Bungalow was our room in Kurumba. 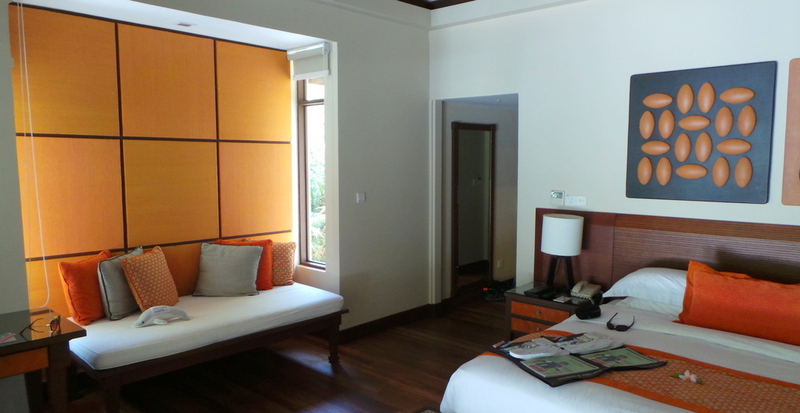 At 74 Sqm, the bungalow has a feeling of exclusivity. The ‘neighbours’ are quite far away (as you can see from the distance above), and each bungalow is also assigned its own lounge chair by the beach so there’s no awkward musical chair scenario among guests. There’s something comforting and fuzzy about warm tones, oranges and yellows. It just made me feel like this is home and I should kick back and relax. Lying on the bed are a couple of “care packs”. I cannot think of a better term for them actually because they are well thought of! 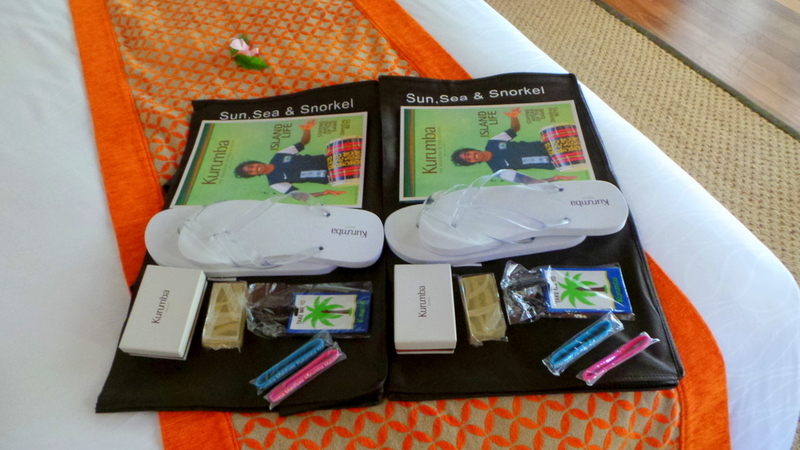 Slippers (and not the bedroom kind) for you to use around the resort, bag tags, mosquito bands (genius idea! ), and an edition of Kurumba magazine (the hotel’s own publication). The best part -your own beach bag, big enough to fit your snorkel gear, and more. This reading nook / lounge can also be used as a small bed for a child below 12. The bathroom gave a feeling of walking into a small spa. 2 sinks, a stand alone bath tub and 1 outdoor shower, and 1 indoor. 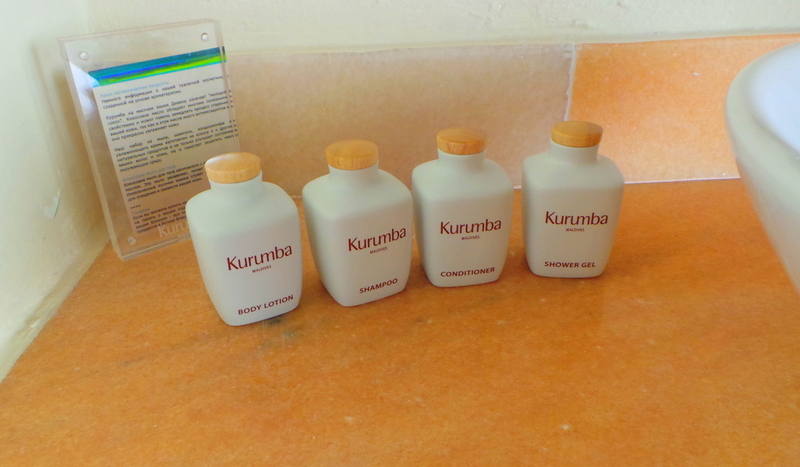 I totally loved the toiletries in Kurumba. Molton Brown products that smelled so divine – think vanilla-coconut with a musky undertone. 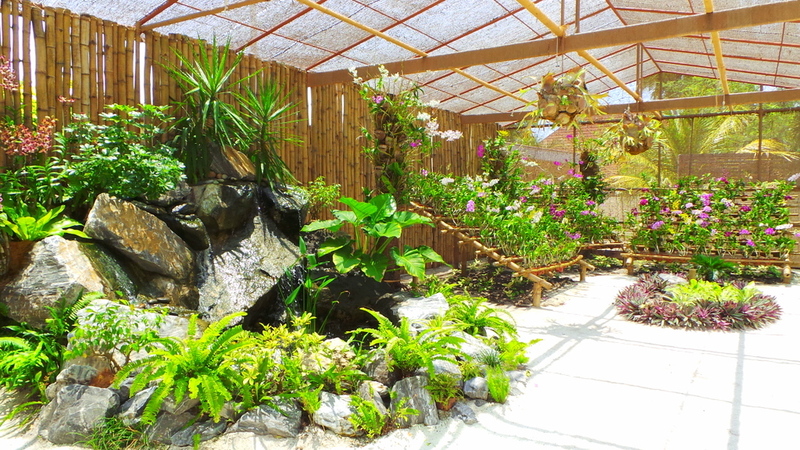 Even the scent goes with the overall feel of the resort. We were able to have meals at 2 of the restaurants, Vilhamana, pictured above, where breakfast, lunch and dinner are served for the day. A lot of seafood and pasta choices, perfect for mid-day eating! 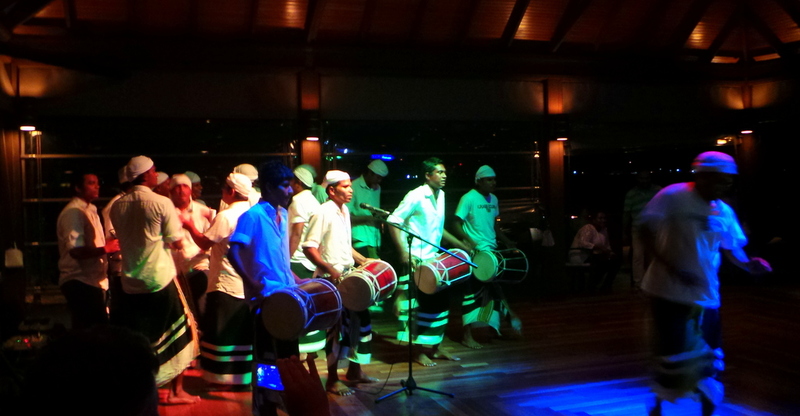 At night, we enjoyed drinks at the Beach Bar while watching a very lively Boduberu (traditional Maldivian dance) performance. At night we had al-fresco dining at Ocean Grill (above), which I highly highly recommend. 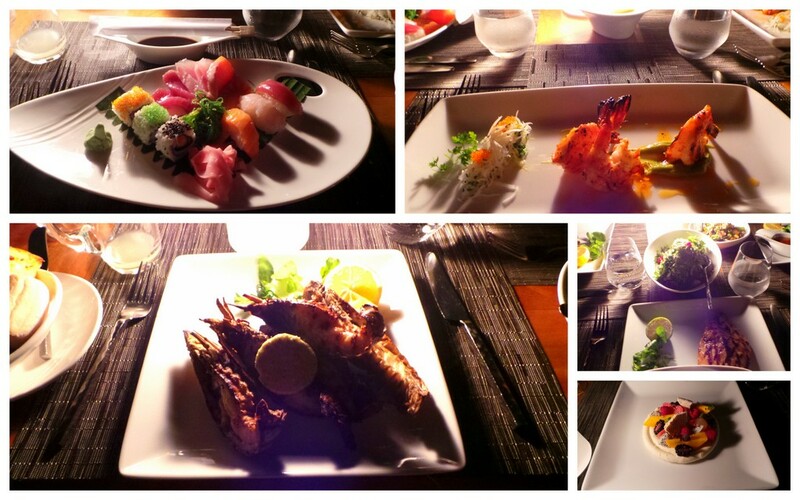 Fresh off the grill seafood by the beach – this is how dinner is done right in the Maldives. I couldn’t get enough of the seafood, which were all grilled in coconut charcoal – giving it that nutty, charred and wonderful taste! I also love that you can completely tailor the menu to your personal choice, choosing how your seafood or meat is cooked, and the accompanying sauce. I eat seafood on a regular basis and can live on seafood alone, and these coconut char-grilled dishes are one of the best ways to cook (and eat!) seafood. I confess — prior to reaching Kurumba, I thought that their waters wouldn’t be that stunning or clear given their very close proximity to Male. I was so pleasantly surprised to be completely wrong. 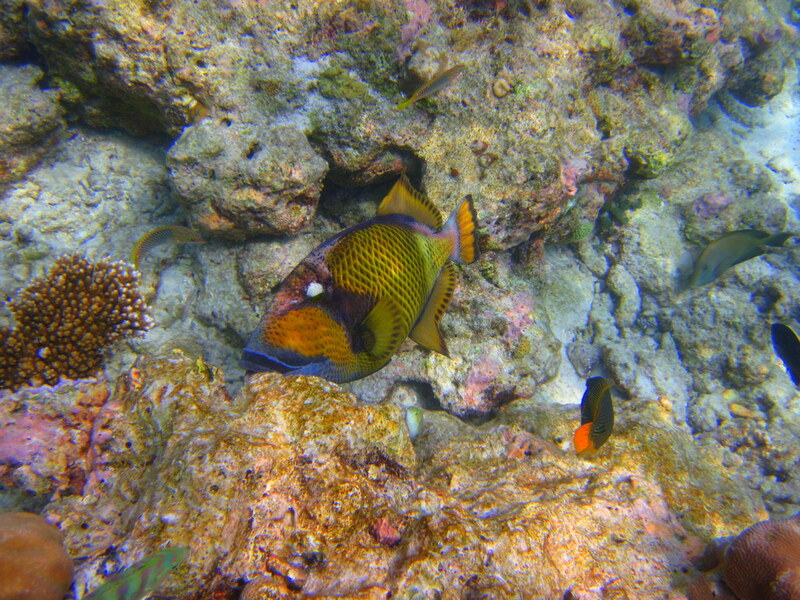 Because the waters of Kurumba are clear, and the house reef is very much alive. 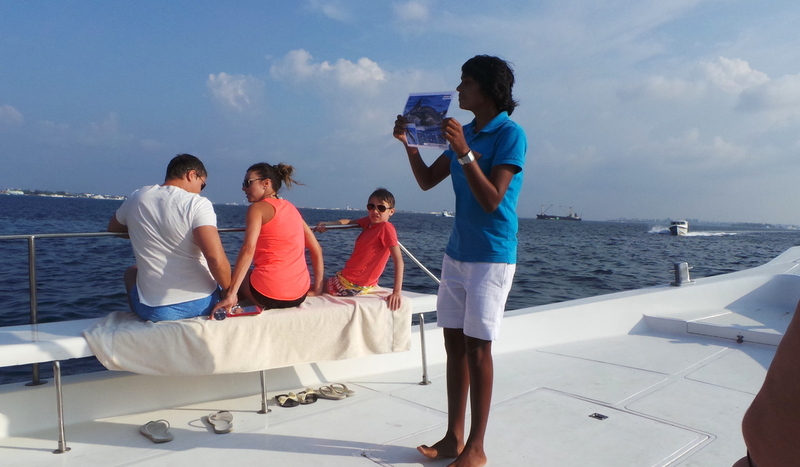 There are a lot of excursions that can be done in Kurumba, and we joined the Dolphin Discovery Sunset Cruise one afternoon. 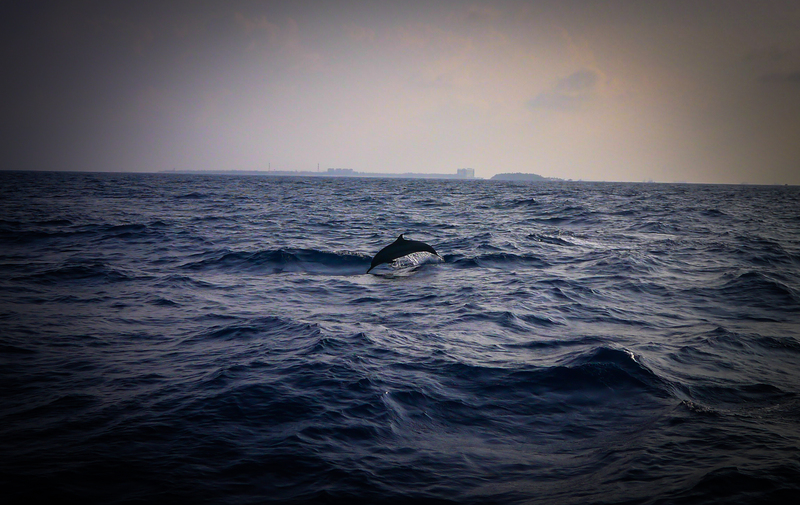 It was the perfect weather to go on a cruise to spot spinner and bottle-nosed dolphins. It didn’t take long at all before we saw them leaping out of the water. 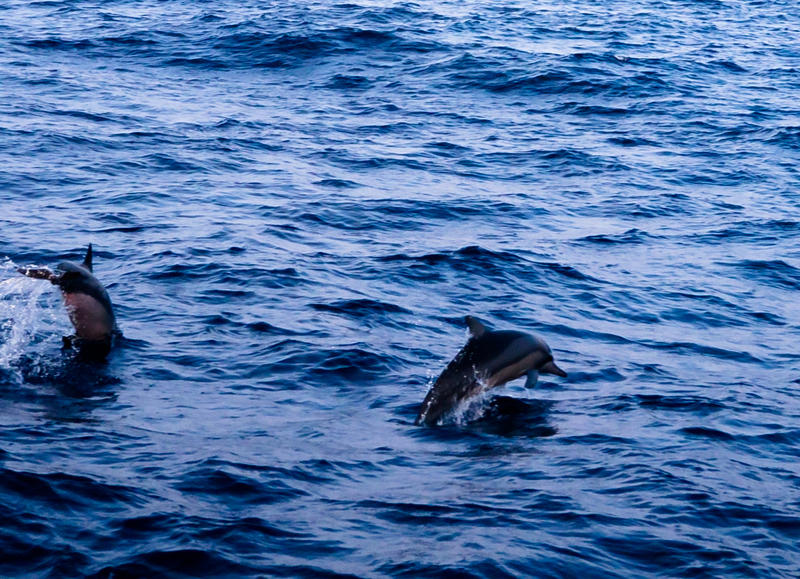 It’s really fascinating to watch and witness dolphins in their natural habitat. They were jumping and spinning not under someone’s command or for a reward, but this is what they really do. This is their home, and we were just visitors. 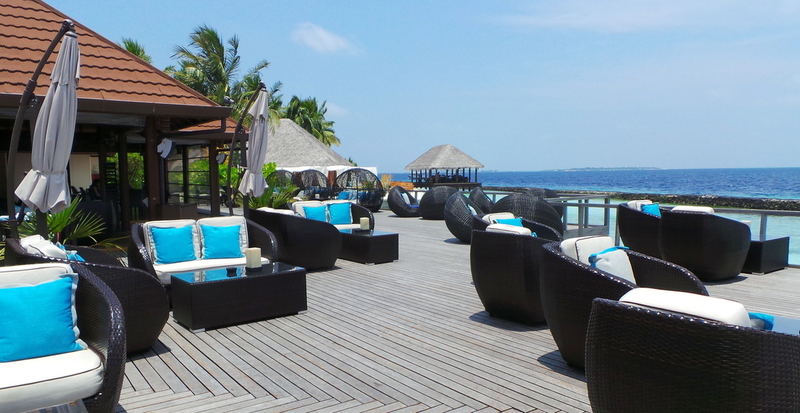 Kurumba has a very homey and ‘residence-y’ feel without losing its exclusivity. The resort was in full capacity when we were there, yet we barely felt it. With 8 restaurants, a myriad of activities to do, and the endless playground that is the sea, there is much to do for everybody in Kurumba. There are no overwater bungalow category of rooms/villas in Kurumba, yet I don’t think they need it. 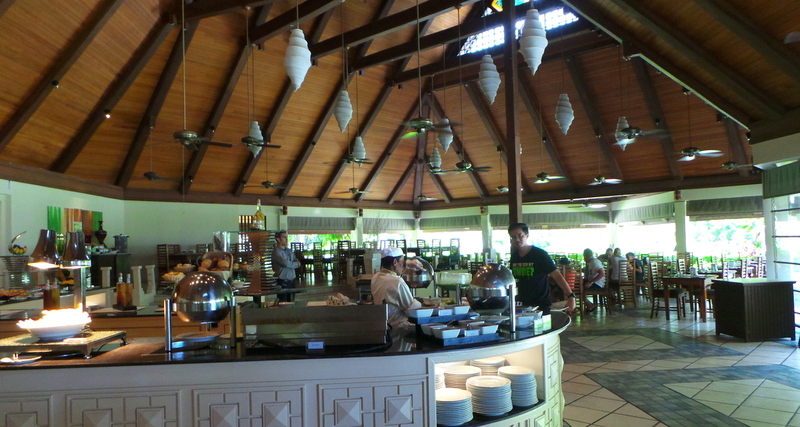 Kurumba stands very confident with how it has run the resort for over 40 years – great customer service, good food, and keeping guests’ comfort and enjoyment at all times. 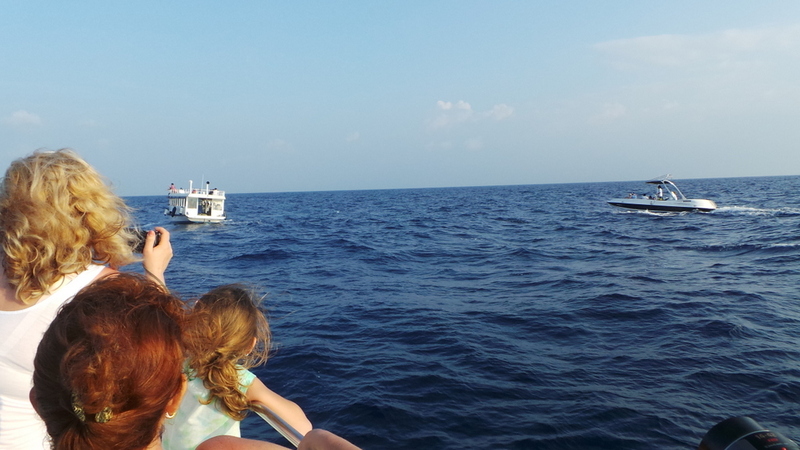 It’s perfect for those who are in the Maldives for just a quick getaway, because the less than 10 minute boat ride from the airport to the resort and vice versa can save you up to 6 more hours enjoyment in paradise. OMG this looks AMAZING. I think I really need to focus on making a Maldives vacation happen. You’ve convinced me! Wow looks incredible!! We are thinking of going to kurumba, but we are wondering if you can go to any beach in the island, we can only afford the cheapest room, so we are scared of only go to one beach, do you know if you can go to any beach in the island? Thanks in advance!! Hi Sophia! I have seen the lead-in category room of Kurumba and they do have access (walk) to the beach. It’s a longer walk than the beachfront cottages but it’s not far. All the resorts in the Maldives are in their sole islands, so they all have ‘beach’ front properties, all the shores vary in size.